We are happy to receive enquiries about the museum and its work. However, for tourism information please contact the Tourism Office of the London Borough of Richmond-upon-Thames. Sorry, we cannot deal with Family History enquiries. Please read the family history section of our Research page. The museum is a Grade II listed building and may not be accessible to all visitors. There are two steps at the front door and a narrow staircase to the first floor. Twickenham Rail Station is 10 minutes walk away, (regular service, taking about 30 minutes from London Waterloo). Buses from Richmond Station (Tube and Rail): H22, R68, R70, 290, 490. Other buses to Twickenham: 33, 110, 267, 281. Walking distance from nearest bus stop 3-5 minutes. 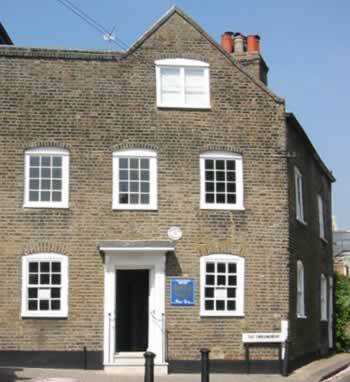 The museum can also be reached via a pleasant riverside walk from Richmond.